I know, it’s really late for this and it’s nearly time for the empties post for January 2016, but since I already have the pictures taken for December 2015, I thought I might as well put the post up! I don’t have as many products to throw out in December and I don’t recall using half the products since I went on vacation, but let’s just get it over with so we can clear the bin! I’ve seen this featured in a youtuber’s (Emily Eddington) videos for years so I was super excited when I finally found it. Honestly, I don’t know what is so amazing about this item. It’s cheap, and does help to remove makeup, but I don’t think it does an amazing job at it and doesn’t do anything for your skin. I think it’s a useful product for when you’re travelling, but if I am at home I would be more comfortable with oil cleansers or others that does something for my skin. I used this to make my own DIY mask with essences and serums. I prefer ready face mask sheets, but sometimes I just feel a little crafty and have to make something of my own. I used this to clean my brushes, which actually worked a treat! Cleaned really well, even foundation that’s been on the brush for over a week, and didn’t dry out my brushes. Not a big fan, but I get a lot of them free from subscription boxes so I just use them up. These, I did not manage to finish. I’ve had them for over 5 years; I don’t know how long these things last but I think it’s time for them to go. I really don’t use heat on my hair 99% of the time so it’s mind-blowing to think of how many I bought! Bought this over a year ago – think it was a Christmas special. The scent is quite nice, but it feels a little too soapy for me – it kinds of makes my bathroom floor super slippery. Have used up another bottle of this before; received both from LookFantastic beauty boxes. I didn’t like it the first time round because it didn’t lather up well, and I still don’t like it. A couple of face masks that are not technically ’empties’, but I’ve had them for a really long time so I think it’s time to get new ones. I did liked the Freeman peel-off mask, but it leaves behind such a mess because they dry off and become bits stuck in your hair – it’s just really hard to get everything off, even if I showered; I don’t think I will be repurchasing this. I will be repurchasing the Queen Helene mask though; it’s a tad drying but I find that it helps keep pimples at bay, shrinks existing pimples and clear out clogged pores. 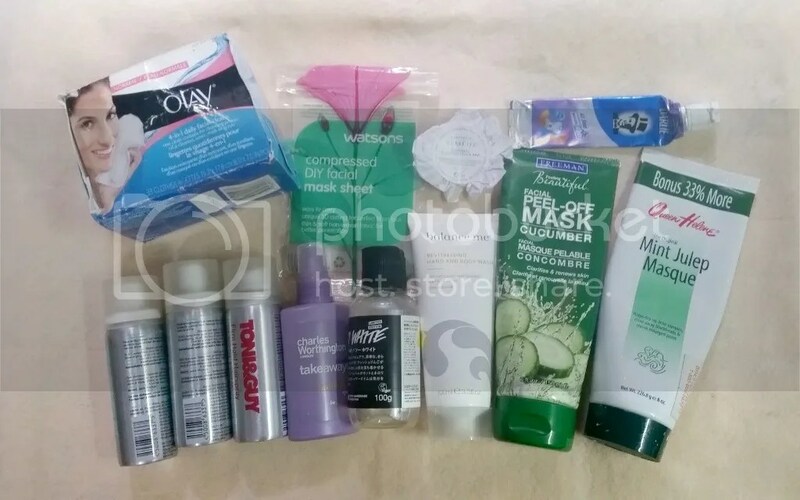 So that’s it for Part 1 of my December 2015 empties! Part 2 will be right along – so stay tuned! Prev Happy New Year (Very Belatedly)!